Macy found a green worm outside this week, and after taking it to preschool it wasn't looking like it would survive. 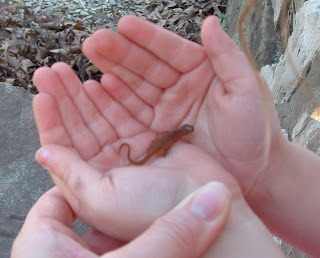 So as we were outside looking for a new worm last night - I found a teeny tiny baby lizard. It looked like a "preemie" if there is such thing in lizard world.